Cape Coral just got approval to get rid of the controversial Chiquita Lock in Cape Harbour. It’s something that boaters have wanted for a long time. The Florida Department of Environmental Protection just posted a letter of intent that will allow Cape Coral to remove it. Captain Jr. Trepper travels the route often for his tours and says sometimes it takes almost an hour to pass through during peak season. The lock is almost like a staple to Cape Coral, a staple that provides access between the Gulf and Cape Harbour. “You might be mitigating the storm water treatment by putting all of the pollutants of the boats sitting there idling all the time too,” he said. 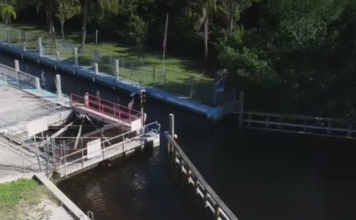 The City of Cape Coral originally installed the lock in the 1980’s to treat storm water run off but with the recent water quality improvements project, the DEP determined it is safe to remove the lock. 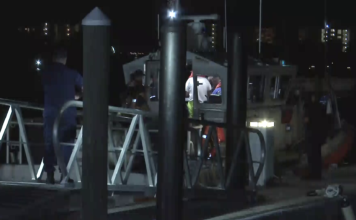 Environmentalists argue that removing the lock could harm sea life like manatees and sawfish but after several studies, the project will move forward.